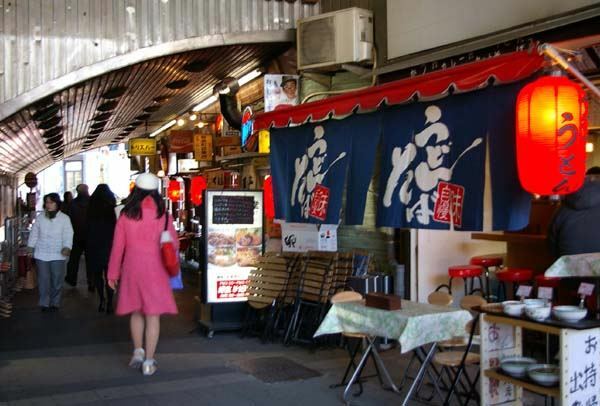 Yurakucho has developed as one of the biggest entertainment area in Tokyo because it is situated in between the big office area (Marunouchi and Kasumigaseki) and the big shopping area of Ginza. 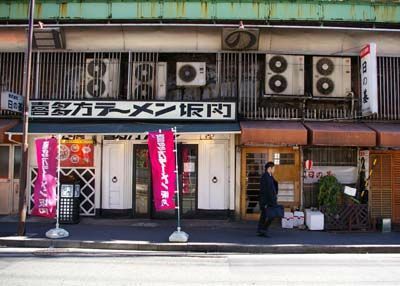 Ordinary people enjoy here to see movies or dramas after shopping at Ginza. 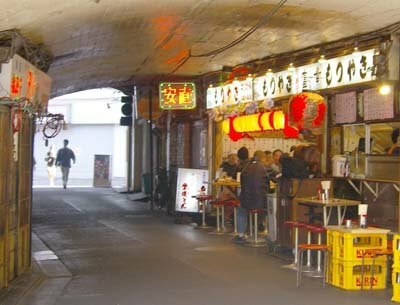 Businessmen enjoy a break time at Yakitori-bar after work. 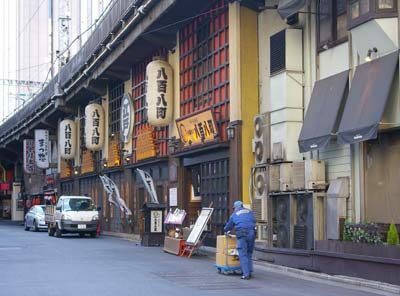 Yurakucho provides a glimpse of old Tokyo life with its many Izakaya (Japanese-style bars) and outdoor Yakitori bars, many of which are located under the elevated rail roads of JR line. 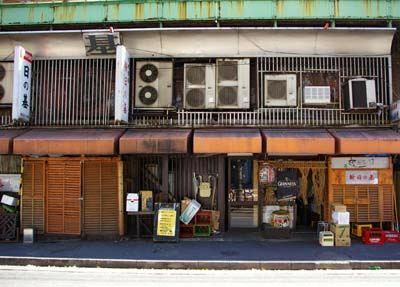 These drink bars had been opened here from early postwar period. Many of them have tiny spaces with a small number of stools. 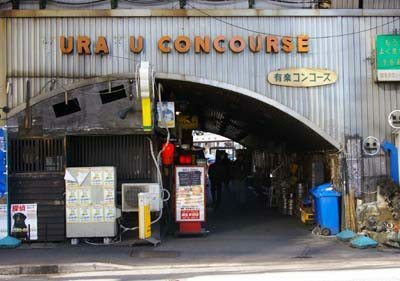 Many drink bars occupy the tiny spaces under the elevated rail road. There are several passageways connecting the both side of the railroad. Drink bars are located also in this dark and wet space. 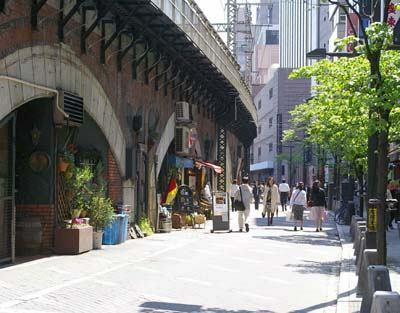 The rail road is constructed relatively high between Yurakucho and Shinbashi. So the drinkshops in this zone look steady and big scaled.